TechPlus in the News: Is "Big Brother" out to get you with RFID tracking? The RL4 has many outstanding features that offer equally outstanding benefits. Below is a brief list of the features and benefits you will experience using the RL4printer. Rugged and Reliable - With uncompromising standards, the RL4 endures even the most punishing environments, and passes the 810F dropp testing requirements. The RL$ is so rugged it continues to print after 26 consecutive drops to concrete from 6 feet even when tested at extreme temperature conditions. Complete line of Accessories - The versatile RL4 comes with a wide selection of charging and mounting accessories that allow it to be worn on the hip, mounted in a truck or even mounted and powered from a forklift. Great Battery Power - The long lasting lithium-ion battery offers maximum power capacity for a full 8-hour shift, even under the toughest conditions. Easy to Use - Nobody likes to change the paper roll, but we've made it so easy ou can do it with one hand. We've also included an easy to read LCD screen with simple user interface buttons and peel-and-present mechanism for quicker label application. Complete Line of Media and Supplies - Our Cerfified Label Supply Program ensures optimum, trouble-free performance from the RL4 and gurantees the highest quality print output and image stability. Two Year Warranty - The RL4 comes with the industry's only two-year standard warranty - twice that of the competition. 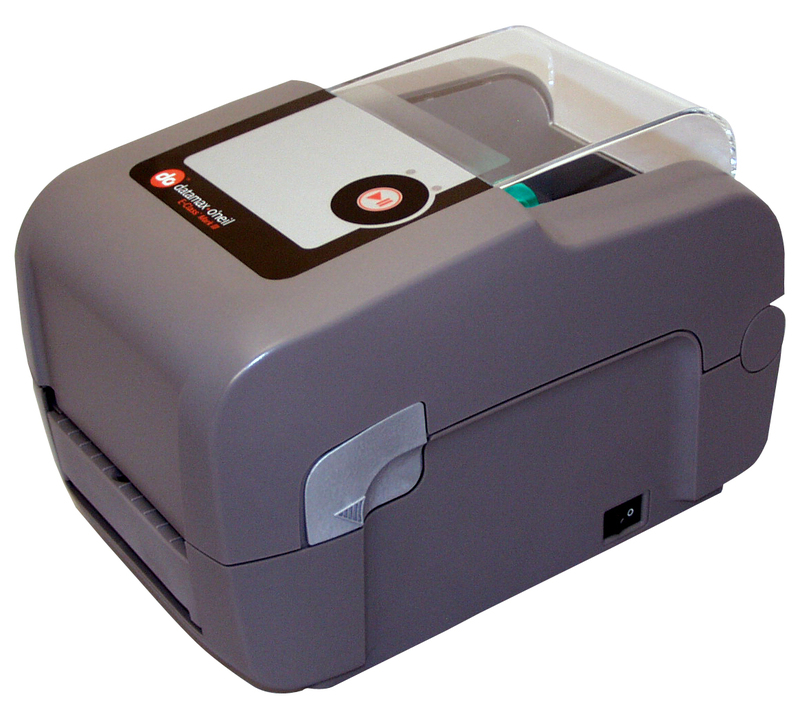 Th e E-Class Mark III is a family of compact desktop thermal printers that are designed for a wide variety of industries and applications that require a reliable and cost effective barcode printer. Datamax-O’Neil applied its industrial printer expertise to provide customers with an entry level printer that has the features and reliability normally found in more expensive printers. The E-Class Mark III is affordable to own, easy to use and economical to operate. We’ve made the E-Class Mark III easy to use with quick loading media and an interactive LCD screen. Users will also notice a substantial reduction in their daily operational costs thanks to the E-Class Mark III’s larger media and ribbon roll capacity. The E-Class Mark III is one of the best values on the market. It is competitively priced with a proven design and reliable performance that will continue to operate long after other printers have failed. Why pay for features you don’t need? The E-Class is available in four distinct models that offer the features necessary to meet the broadest range of customer requirements. Introducing the new line of cab printing solutions. You may remember they were one of the first companies to produce external label rewind systems, but now they offer a full line of label printing and applying systems designed to work WITHOUT a computer. Just download your label format, plug in your CAT 5 cable, a standard USB keyboard & print labels.